Experience, IQ and technical skills are really important in the technical world but emotional intelligence is fast becoming one of the most important attributes for success in business. The challenge of knowing and managing oneself is a crucial task for management, and certainly also for technical leaders. What this means is connecting with our deep values and filling our actions with purpose. If we act with these inner guides we feel good about what we do, we keep our focus, we align with our emotions and our goals. Ford Motor Company cooperates with leading universities around the globe, using the University Research Program (URP) to support selected researchers. Ford Learning & Development (L&D) and Richard Boyatzis from Case Western Reserve University cooperated in a project, sponsored by the Ford URP. This specific research was about predicting engineer effectiveness through emotional intelligence. 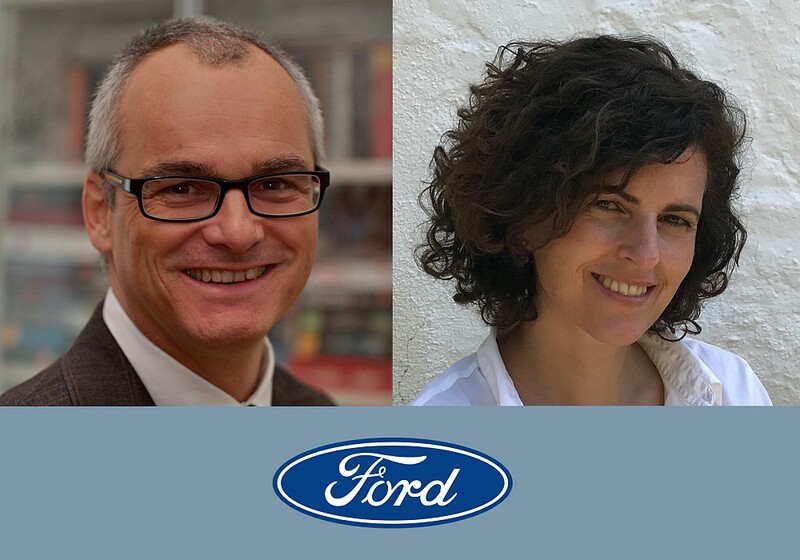 We learnt at Ford L&D and at the university from their insights and experience that motivated us to continue researching and asking questions. We now apply our latest research and that from many fields to show how leaders can create resonant relationships within their lives, teams and organisations. Resonant Leadership is extremely important if you want to be an effective leader. Great leaders move us by creating resonance through genuine connections and positive emotions. The essence of emotional intelligence is not only understanding yourself and managing yourself but also understanding others and managing relationships. Emotionally Intelligent leaders know their values, emotions, and intuitions, and use that knowledge to make decisions. They manage their emotions without being hijacked by them. They persist in the face of setbacks and remain optimistic. What is interesting also is that they read accurately and react to other people’s emotional states. By confronting problems they demonstrate courage and challenge others appropriately. Don’t worry, you don’t have to be good in all these competencies, but a combination is required to be emotionally intelligent. Framing this research we wanted to learn from leaders, how they have inspired their organisations. We have asked engineering professionals and international relations experts from FISITA, SAE and Ford Motor Company about emotional intelligence and how it relates to their workplace and lives. Check out what they think about emotions and engineering. PM: Emotional Intelligence is the natural or learned ability to be able to assess feelings and emotions in oneself or others. This includes sensing things like embarrassment, nervousness, concern, fear, anger, enthusiasm, positivity, uncertainty etc. In being able to assess these emotions, people with highly developed emotional intelligence skills may be able to positively affect the outcome or feeling of self and others, in a way that a person who is unaware of the emotional situation is likely not to be able to do. CL: To me, emotional intelligence means knowing when and how to display emotions in a professional environment. Emotional intelligence means you treat other people with respect and in a manner in which you would like to be treated. It means having the ability to put yourself in other people’s shoes and see their point of view. This is exactly as taught in the Golden Rule: “Do unto others as you would have them do unto you”. I learned this as a child and it has stuck with me. How important is emotional Intelligence in the technical world and work? MI: Emotional Intelligence is extremely critical in the technical world. A good team leader has to have good communication skills, compassion and respect for their team members. They also need confidence and the intuition to judge when other team members have a perspective worthy of consideration. The team leader also needs to have creativity and a great sense of humour. KS: People are not machines (even engineers are not!). People spend a huge fraction of their lifetime in a working environment. Positive emotions are a major component of happiness and emotional resilience, which protects people from depression, frustration or anger. Emotional intelligence helps to make the best out of a given situation, in terms of a positive working relationship. It promotes health and loyalty. It also increases the efficiency of a team. Do you think emotional Intelligence receives enough attention in the technical educational system? AS: The answer is a very clear no. At best there are a few training elements which I would describe as “adjacencies” to EI – like an effective presentation or giving, and receiving, feedback – both skills which have an EI angle to them. Training classes in these domains contain helpful elements, but a more holistic coverage of the EI interactions of large teams is missing. Do you have an example of a key moment, or a person, related to emotional intelligence at work, that has brought out the best in you? ML: One of the most relevant examples was when I was working for Ford in Spain for the car model that I most loved- the Mustang. There was no project or plan to bring the Mustang to Spain or Europe. During one of the Alan Mulally (former Ford CEO) visits to Spain, I was invited to ask him some questions in an employee meeting. For that meeting, I prepared my questions carefully, and with enthusiasm and passion, I explained to him and the board members the reasons and the opportunity to initiate this project. We had a long discussion and he listened carefully to what I had to say. What I said seemed to resonate with the senior team, and they began to talk about the possibility of bringing the Mustang to Europe. This led to great support and applause from the employees at the meeting. Today the Mustang is the number one in sales of sports cars in Spain and other countries in Europe. Looking back, I feel satisfied that I used my emotional intelligence to full effect during those discussions! KS: Yes. In the early/mid 90’s I worked as a young engineer in vehicle safety. We were a young team. Most of us had come straight from university and needed to adapt to the new working environment. Our team leader was born in Burma, very experienced and always in a good mood. He understood the emotions of his nervous rookies and steered the team through difficult situations. CL: When I interviewed at Ford in 1998, I spoke with the Technical Fellow for emission control, Dr. Haren Gandhi. He was also the Chemical Engineering Department manager. If he did not like you, you were not hired. I felt that the interview was going well, and toward the end of it, Haren asked me very directly, “Will you be a leader for me?”. At first, I was quiet because I had not been expecting this question, and certainly not expected it to be asked in this way. Fortunately, I got my wits back quickly and I said, “Of course I will”. I went back to New Orleans, and a couple of days later I got the news that I was hired by Ford. I have tried my best for the last 17.5 years to deliver on that promise I made in Haren’s office. Haren passed away seven years ago, and I will never forget this initial exchange. the manufacturing launch phase. This was in response to some competitor actions, changing expectations of the vehicle we were about to launch. There was a cross-functional meeting, involving program management, manufacturing, purchasing, finance etc., and I suddenly realised that everyone was looking to me for leadership. They were concerned, anxious and uncertain how we were going to get those changes into production without impacting the launch or affecting the quality and cost for the customer. At that point, I realised the responsibilities that I had and the dependency that these other departments had on me and the team I was working with. It was a high-pressure situation, but it brought out the best in me as I was able to develop a plan and successfully lead the team through the rapid implementation of these changes. In the end, it was a very satisfying and rewarding experience and one that greatly developed my confidence as a leader. MI: Yes, I work with and report to the Chief Executive Officer of my organisation, who is not only my immediate supervisor but also a leader who respects and listens to my advice no matter how good or bad it is. When it comes to global issues, he uses his intuition, judgment, experience, and communication skills to bring out the best out of me. Over the years, this interaction has become the starting point of serious discussion for all strategic global issues. We work as a close-knit team where each of the team members uses his creativity, knowledge, and a good dose of humour in solving an issue or reviewing a potential business opportunity/threat. One example is from our recently concluded first Board Meeting in India. The majority of our board members were not very familiar with India and the Indian way of doing business. The CEO empowered me to manage the global business. I used key ingredients of emotional intelligence to make a challenging board meeting a success. I had to work with several stakeholders with different cultural backgrounds. The board members and the staff were very appreciative of the wonderful experience they had in India. Many said that it was one of their best and most productive overseas experiences! AS: Rather more impactful for me in this space was a wake-up call very early in my professional career where I realised that I inadvertently had seriously hurt the feelings of a co-worker by misreading or ignoring his emotional responses. This experience made me a lot more cautious in drawing conclusions and judging co-workers and team member’s emotional state. In the course of my leadership career, I also had many positive experiences where social awareness helped to defuse critical situations and mend relationships. One fairly recent example allowed me to observe a very similar miscommunication between one of my managers and one of his subordinates to my early career “wake-up call”. With the help of individual discussions, and making professional coaching support available, the situation improved dramatically to the extent that I recently received very positive feedback on how much of a difference it made for the individual and how much happier he is in his job now. Being aware of the emotional aspects of work, and acting on them can be very emotionally rewarding for a leader. What would you recommend to the scientists and engineers community to succeed in business? MI: I would strongly recommend science and engineering communities to place a strong emphasis on the study and training of emotional intelligence. Study after study has shown that those who have EI training have shown increased emotion management ability. A quote which has stayed with me is “Our emotions need to be as educated as our intellect. It is important to know how to feel, how to respond, and how to let life in so that it can touch you”. These words strike me as very relevant and profound for today’s business leaders. If you want to succeed in this 21st century, the study of EI has to be an integral part of your journey. Emotional Intelligence (EI) is essential for a healthy business environment. People might bring a good portion of EI with them, as result of personal experience or previous education. However, since this is not part of an engineering curriculum, the level of EI education is uncontrolled and typically low. As a countermeasure, it is recommended to offer awareness sessions and training. This might take place at the university or in the industry. Training offered at an early stage of the career can be very beneficial for the individual. Of course, it also makes a lot of sense to discuss the EI topic with leaders of the particular organisation, as a complementary initiative. In the ongoing Engineer 2030 study of FISITA, we will pick this up and might be able to include EI in a modern engineering education concept. This interview is also available for download as a PDF here.